The Intrinsic brand was born out of the current re-urbanization trend sweeping across America. 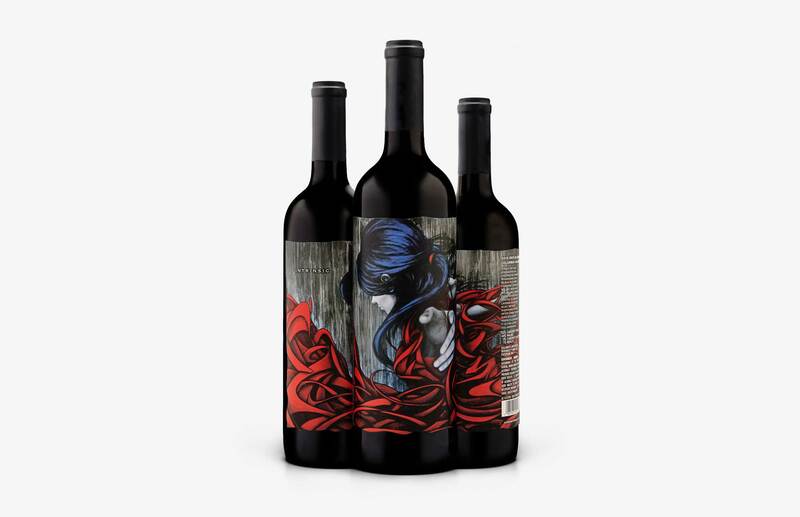 Our wine label design and visual identity sought to create a connection between the urban environment and the wine itself. But at a $20+ price point, our clients at Ste. 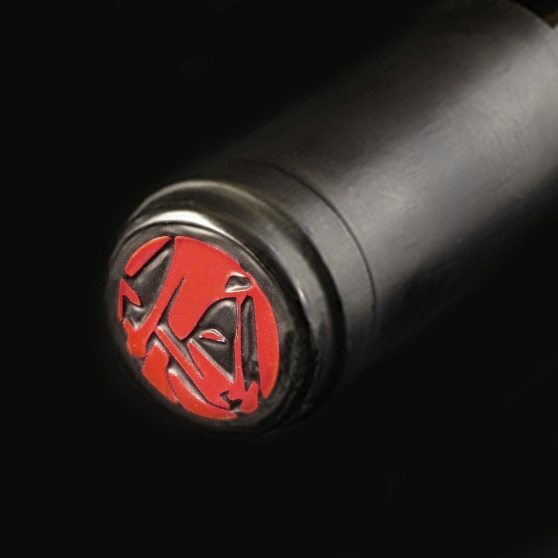 Michelle Wine Estates wanted to be sure it balance that urban grittiness with a sense of elegance and approachability. 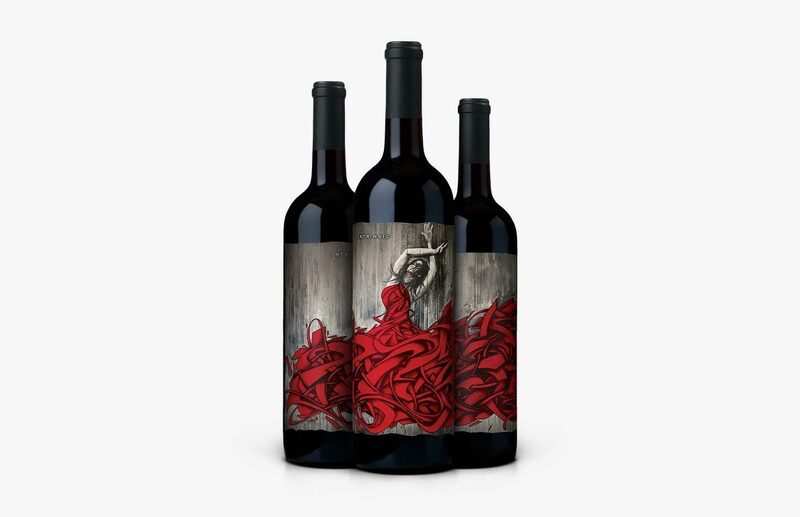 The (almost) full-wrap label centers around a custom, graphiti-esque illustration of a “lady in red” as seen through the eyes of a Brooklyn street artist known as Zimer. We worked closely with him on the illustration, which was ultimately rendered in paint on a 4′ x 6′ canvas before being photographed for the label work. This fantastic creative collaboration gave the design a disruptive edge and striking appeal in retail environments. The finishing details included a custom red ink, sculpted embossing/debossing, pearlescent foils and multiple varnishes that add a wonderfully tactile feel to the bottle. 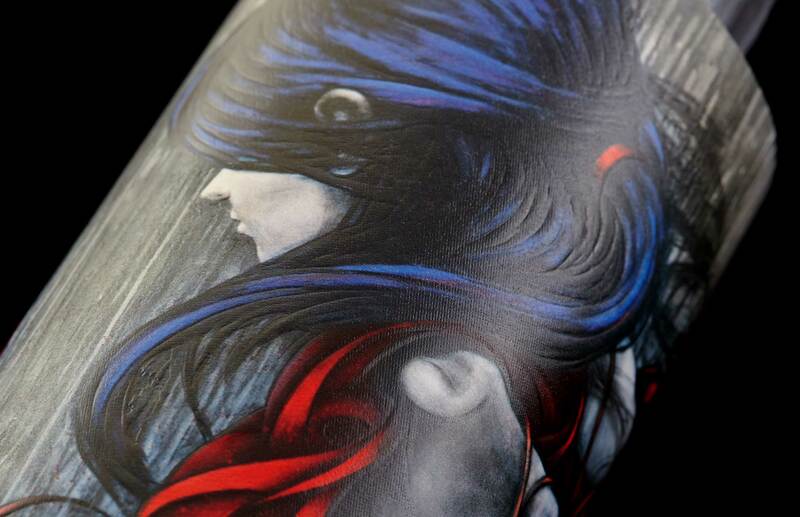 Winemaking and street art. 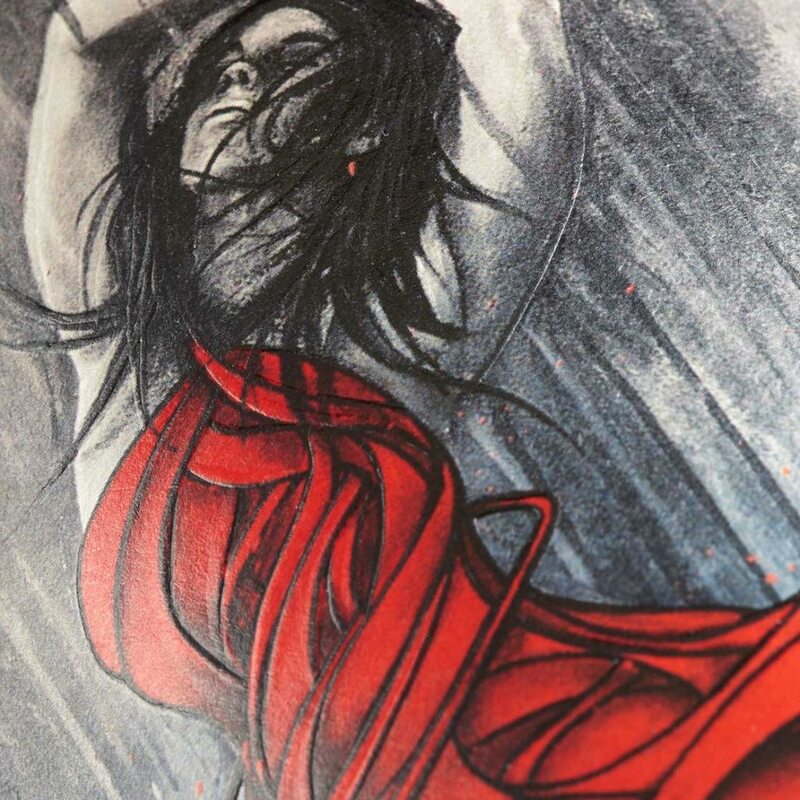 For both, the artist must work with an unpredictable canvas, blending instinct and experience to craft something vibrant, gutsy and fleeting. 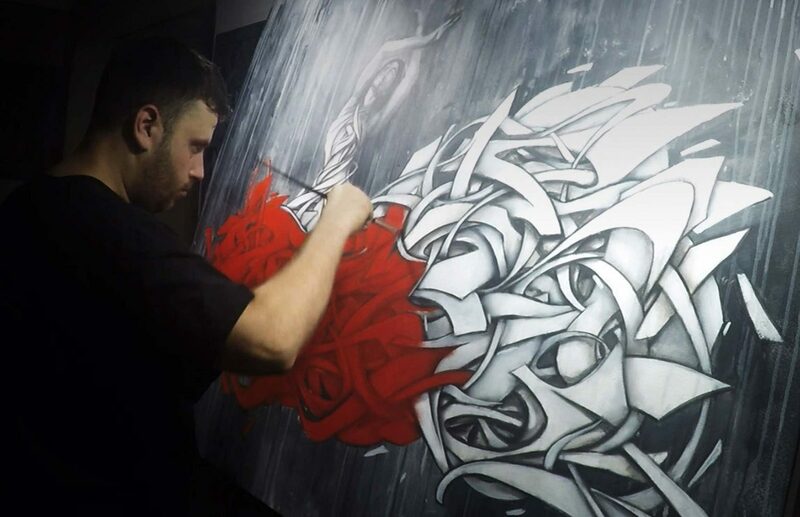 Street artist Zimer at work on the oversized canvas.